If a picture’s worth a thousand words, a video might just be priceless. The number of daily videos produced on Instagram has quadrupled in the last five years, and YouTube users watch more than a billion hours of content every day. With stats like these, it’s no wonder 87 percent of online marketers are investing in video content. What does it take to create a top-notch social video? To save you a bit of a headache and a whole lot of blooper reel, we’re sharing some of our most effective tips here. From YouTube to TikTok, there are dozens of different video platforms to choose from. Make sure you tailor your video accordingly, just like you would with any other content. The first step to creating a killer social video is deciding where to post it. Some platforms, like Facebook, have a wide user base, attracting different ages, genders, and income levels. Others reach only a narrow demographic. For example, Pinterest resonates with 25 to 44-year-olds, while Snapchat almost exclusively attracts teens and young adults. Who am I trying to reach? Why am I trying to reach them? If you’re trying to educate your audience, consider posting your video on LinkedIn. If you’re simply trying to entertain, YouTube might be a better bet. The ideal aspect ratio for your video can vary from platform to platform. Facebook alone supports more than five different formats! Make sure to brush up on the recommended specs for your platform of choice before producing your video. Optimize for each place you post to avoid stretched images or black bars around your content. If you don’t have time to optimize for each platform, a 1:1 aspect ratio usually does the trick. 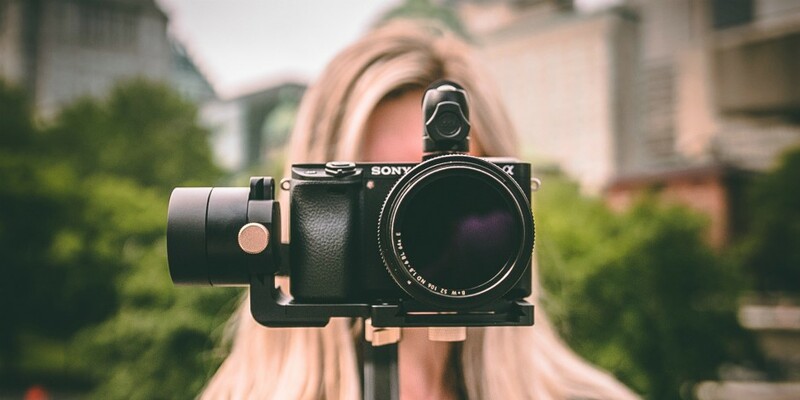 Plus, square videos take up 78 percent more social media feed real estate than landscape (16:9), so this strategy may win you some extra attention. Not all platforms are compatible with each other—another reason it’s important to optimize your videos for different social channels. YouTube is owned by Google, a direct competitor to Facebook, which means YouTube links don’t do well on Facebook. By uploading directly to the platform, your video will look better and get up to 10x more organic shares. Here’s an example from our own Facebook page. This (adorable) YouTube video got a little lost in our feed, but our native content really pops. Our attention span is just eight seconds long—shorter than a goldfish’s! Keeping viewers engaged from start to finish is tough, but it doesn’t have to be impossible. Stick to a 60-second time limit if you can. While only five percent of people will stop watching a video after one minute, 60 percent will after two. Not only are short videos easier to finish, they also eat up less data—making them perfect for mobile viewers. Lengthier videos can make their mark too. On Facebook, videos over 90 seconds get more views and shares. On YouTube, the average mobile user session is an hour long. But if you decide to go long, make sure your content is top notch. Luckily, brands like Airbnb and Hyundai are known for their long-form videos, so there are lots of great examples out there to learn from. Chairman & Co-Founder of oneQube. A lifetime serial entrepreneur, mentor, advisor, and investor. Obsessed with the infinite realm of possibility in the digital transformation of the world, digital media, marketing and the blockchain.